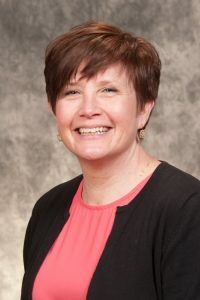 Audiology instructor Blythe Kitner has been chosen to receive one of the NIU Presidential Commission on the Status of Women (PCSW) Outstanding Mentor Awards. The award recognizes individuals of any gender who have who have shown exceptional commitment to advancing the career and/or educational goals of NIU women students, staff and/or faculty. Those chosen for the award also demonstrate the characteristics of an outstanding role model within their area of expertise. “Her nomination was the brainchild of several former students whose personal and professional lives were positively impacted through their interactions with her. No doubt it serves as a testament to her hard work and dedication to the program,” said Matt Wilson, assistant professor of audiology.